On a bright September day three years ago, readers and critics of the writer now invariably known as Elizabeth von Arnim assembled at Lucy Cavendish College, in a leafy district just north of the river in Cambridge. From that energetic conference, the International Elizabeth von Arnim Society was formed to foster new scholarly and public interest in von Arnim’s work. Fittingly, it seems, our recent event saw us return to the college and Warburton Hall in which our original conference dinner had taken place. 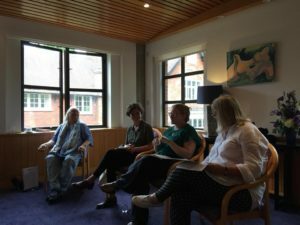 Isobel Maddison, Vice President of Lucy Cavendish and the society’s President, welcomed us over tea and coffee. Isobel reflected on the accomplishments of the society, chief amongst them the publication of papers arising from the above conference in a special issue of Women: A Cultural Review, and another major event last summer in sunny California, a joint project with the Katherine Mansfield Society. Isobel’s summary was followed by her gesturing to our unfolding plans for the future, including our third conference to take place in Toulon in July 2019, organised by Juliane Römhild. 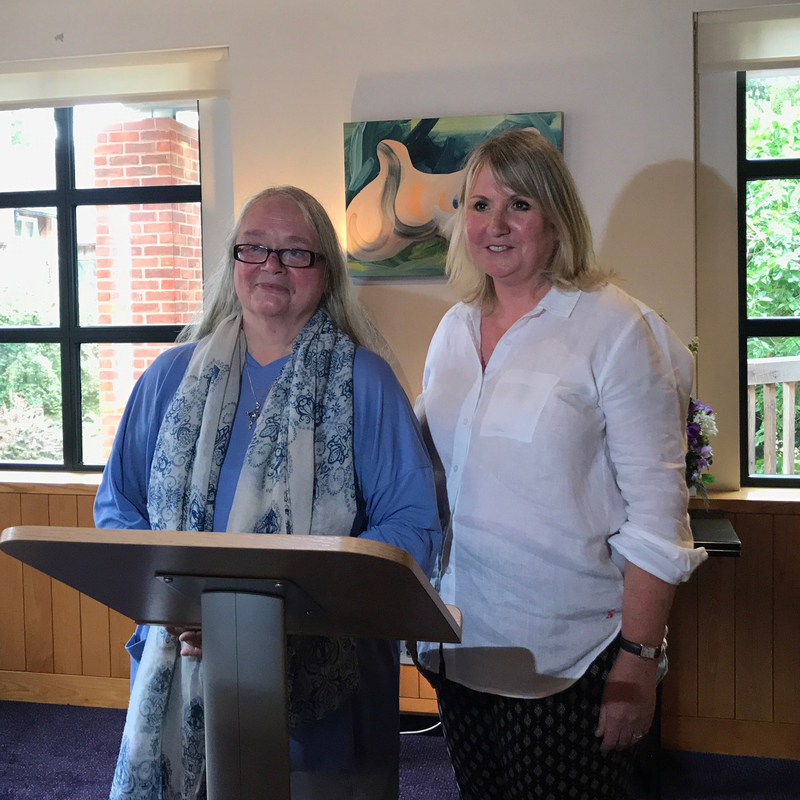 Alison Hennegan, a Fellow at Trinity Hall, gave our featured talk entitled ‘Elizabeth von Arnim: not a feminist but…’, offering insightful observations on von Arnim’s thought about women in a deft sweep across many of von Arnim’s novels. 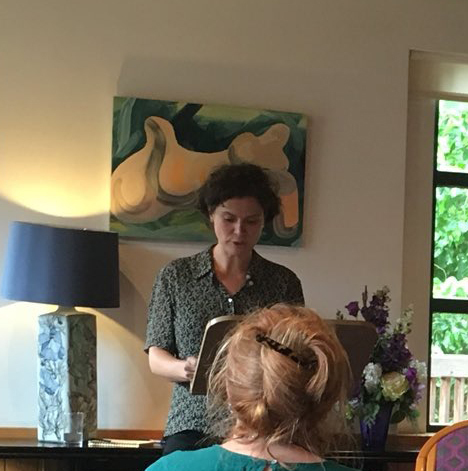 Alison guided us through Elizabeth’s invitation to rethink the connection between women’s sexual desire, sexual activity, love, marriage, and motherhood—her parallels with Virginia Woolf’s well-known essay ‘A Room of One’s Own’ casting von Arnim’s ideas in sharp relief. Indeed, despite not identifying herself as a feminist, the critical eye cast over women’s lives in von Arnim’s writing evinces a basic preoccupation with many feminist tenets. Of particular interest to me was the suggestion that the distinct economic lives of middle-class men and women are depicted in great detail. Alison’s thoughts on von Arnim’s response to the Edwardian notion that motherhood is the primary function of women—and what can be left of ‘being a woman’ beyond that—were particularly illuminating. Things called virtues, Alison observed, are sometimes vices—and Elizabeth has an eye for them. We concluded Alison’s talk with a lively roundtable with Alison, Isobel, Juliane, and Noreen O’Connor, our discussion touching on the middlebrow, the men of von Arnim’s novels, and her relationship to Katherine Mansfield, her cousin, with whom she shared a mutual respect—and a little bit of literary rivalry. Juliane then discussed her ground-breaking work to transcribe (and personally translate) all of Elizabeth’s letters to her daughter, Beatrix von Hirschberg—known as Trix, which were kindly brought to light by Elizabeth’s descendants a few years ago. Bringing along a few reproductions of the letters (and their sprawling handwriting), Juliane presented a complicated relationship between a mother and daughter, astride either side of Anglo-German hostility during the First World War, but returning to affection in the following years. Particularly interesting was how conversational and sometimes bordering on expounding Elizabeth’s letters could be. The day was rounded-off with delicious cake and chats; we left to grab a drink at the Punter and move to Côte Brasserie for dinner. Nestled between two major events last year and next, it was a warm and intimate reunion for many of von Arnim’s champions, and I am sure we are all grateful to the participants and especially Isobel for her organisation of the event. I look forward to reading Prof. Römhild’s article in the upcoming issue of the Katherine Mansfield Journal. Is there a means to read the lecture by Prof. Hennigan? Thank you to both scholars. Ann Marshall, Charlottesville, VA, USA.